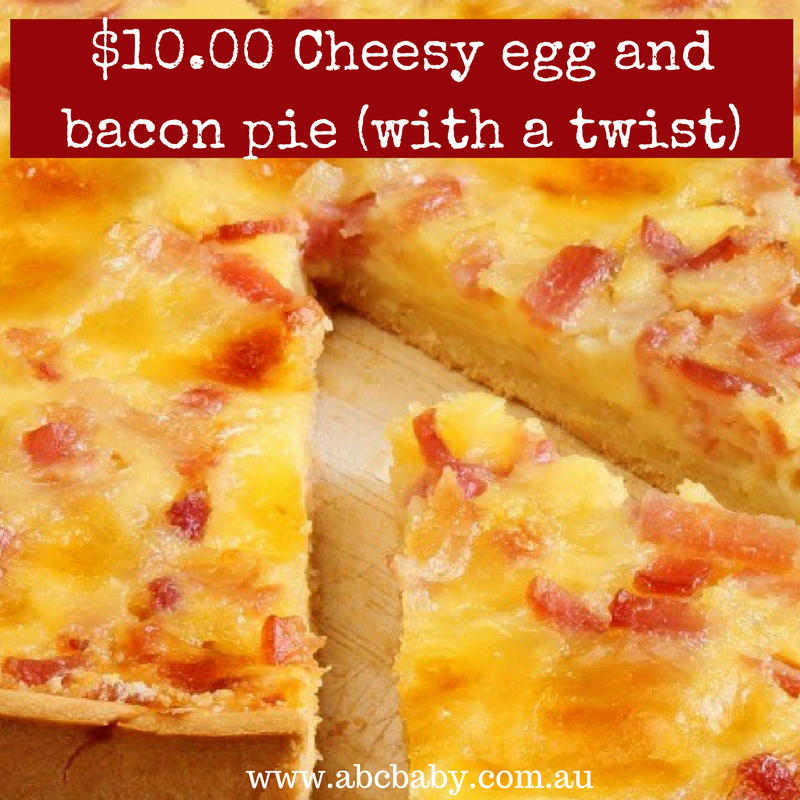 Look, this really is like a quiche lorraine, but my old man calls it an ‘Egg and Bacon Pie” possibly because he thinks it sounds more manly, then you know… quiche. I make this about once a month, we eat about half for dinner and then we have it for lunches the next day. I always make two and freeze one, yes these freeze really well, and its a great ‘quick we have visitors for lunch’ dish, served with salad (to if your husband is like mine and wouldn’t touch a salad with a ten foot pole, then some good old crinkle cut chips and a garnish, you know – just to make the plate look pretty. Brown the onion, garlic and bacon in a frypan, this is important, don’t put raw onion in the dish, just trust me on that one. When the onion is clear mix through the mustard. Sit aside to cool. In a large bowl whisk your eggs and cream, add the cooled bacon and onion mixture and stir until blended. In a baking dish, either line with baking paper or coat in a good dose of olive oil or butter, press the defrosted short crust pastry sheet into the dish. Don’t stress if the pastry is not hanging over the sides, the egg will cook and create a crust as well. Pour the mixture into the dish and then add your cheese evenly. Season with salt and pepper. Bake in an oven at 180 for about 30 minutes, to check the egg is fully cooked, put a knife in the centre and if it comes out clean, its cooked!